Brierley+Partners is proud to announce the company's latest distinction. This week, "The Forrester Wave™: Customer Loyalty Solutions For Large Organizations, Q1 2016" by Forrester Research, Inc. has named Brierley+Partners as a Leader. Forrester states "…it's clear that Brierley+Partners is operating on all cylinders and shows no signs of slowing down anytime soon." Only select companies are invited to participate in the highly respected Forrester Wave™ evaluation. From that field, the eight most significant Loyalty Program Service Providers were evaluated across 40 criteria designed to assess their current offering, strategy and market presence. Of particular significance, Brierley earned the highest score for Current Offering and received the highest score possible in service delivery capabilities, loyalty strategy design, loyalty marketing, and analytics and measurement. 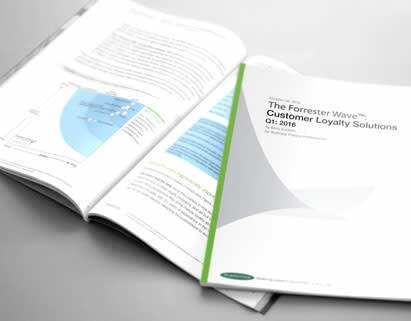 The Forrester Wave evaluation also cites Brierley's "strong loyalty management and marketing capabilities" and notes that, "across the board clients praise [Brierley's] account management, strategy design, and digital member engagement capabilities." Brierley offers a full complement of loyalty capabilities, including Brierley LoyaltyWare®, CampaignWare®, b-Relevant Recommender™, SurveyWare™ and Digital Messaging Suite™ - personalized and flexible technology products enabling clients' award-winning loyalty and CRM Programs. Brierley CEO Jim Sturm stated, "Forrester's opinion is highly regarded and their Wave process is industry recognized. We believe these results further confirm our leader position in the loyalty industry. I am especially proud that our customer-centric values, customer feedback and our ability to be a "one-stop shop for all things loyalty" are reflected in the report. Our continued double-digit growth and global expansion is fueled by our passion and ability to help our clients engage and delight their consumers through industry-differentiating thinking and technology." Brierley+Partners is a global loyalty and CRM innovator, running some of the best loyalty and customer relationship programs for clients such as GameStop, 7-Eleven, Hertz and Hard Rock. Brierley is a wholly-owned subsidiary of Nomura Research Institute (NRI), a 3.5 billion dollar technology and IT consulting corporation, headquartered in Tokyo, Japan. Brierley offers a complete suite of loyalty services: program design, loyalty/CRM technology, marketing strategy, research, analytics, Omni-Channel communications, account management, interactive/print production and fulfillment. The industry-leading Brierley LoyaltyWare® technology platform is uniquely robust, flexible and quick-to-market. All services focus on a single mission: making clients' customer relationships dramatically more profitable.